What is a fiduciary? And did JP Morgan cheat investors and break the law? Now reading: What is a fiduciary? And why is JP Morgan being accused of breaking the law? A fiduciary is a type of financial planner who is obligated to put your interests as a client before their own. For example, let’s say a fiduciary selected two fund options for you to invest in. The funds were equal in terms of risk and reward, except one had a higher fee than the other. In this case, the fiduciary would have to recommend the cheaper of the two options to you, even though it would result in them making less money. Many financial planners, though, are not fuduciaries. They are allowed to put their own interests ahead of your’s. And even worse, they are not legally required to tell you about their conflict of interests (ie, who is paying them to advise certain investments to you). 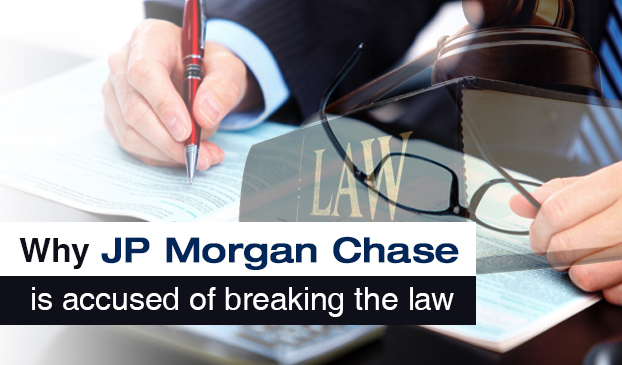 Why is the Securities and Exchange Commission investigating JP Morgan Chase? JP Morgan is accused of having abused the trust of investors who used their Fuduciary Services. The accusation claims JP Morgan’s executives built a culture of deception. The culture was created by rewarding advisers with bonuses for getting their clients to invest in products that would financially benefit JP Morgan. The SEC has subpoenaed both executives of the company as well as internal documents. For many corporate giants, fines are simply the cost of doing business. When they make more money illegally than the amount they are fined for, then it is worth it to them to continue to act illegally. If JP Morgan’s asset-management unit is found guilty, it will be interesting to see how the SEC acts in handing out punishment.